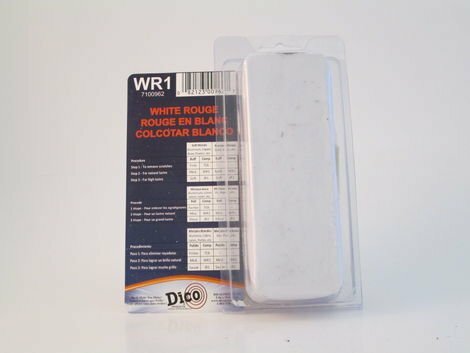 White Rouge (WR1) Will not discolor. Clean & Greaseless. Restores a natural luster to non-ferrous metals such as aluminum. Can also be used on plastics. 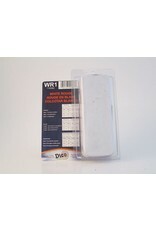 Removes scratches and produces a brilliant high-gloss finish.